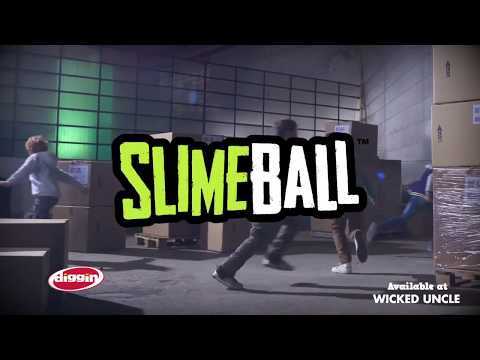 Accompanied by two adjustable sticky vests and four squishy balls, it's a slime-themed twist on the classic game of dodgeball. Fun, active, and safe, you can take this on the road or to the park, as nothing is required except the equipment in this box! Players simply throw the soft slime balls at their opponent's sticky vests, trying to hit them in the bright green target. The slime balls stick to the vests, but nothing else—no clean up! This is the perfect two-player game, with an added element of the grotesque for those who have played more tag and dodgeball than they can handle! Size: 10" x 12" x 3"